A PROCLAMATIONCenturies after America welcomed the first sons and daughters of the Emerald Isle to our shores, Irish heritage continues to enrich our Nation. This month, we reflect on proud traditions handed down through the generations, and we celebrate the many threads of green woven into the red, white, and blue. Irish Americans have defended our country through times of war, strengthened communities from coast to coast, and poured sweat and blood into building our infrastructure and raising our skyscrapers. Some endured hunger, hardship, and prejudice; many rose to be leaders of government, industry, or culture. Their journey is a testament to the resilience of the Irish character, a people who never stopped dreaming of a brighter future and never stopped striving to make that dream a reality. Today, Americans of all backgrounds can find common ground in the values of faith and perseverance, and we can all draw strength from the unshakable belief that through hard work and sacrifice, we can forge better lives for ourselves and our families. The American and Irish peoples enjoy a friendship deepened by both shared heritage and shared ideals. On the international stage, we are proud to work in concert toward a freer, more just world. As we honor that enduring connection during Irish-American Heritage Month, let us look forward to many more generations of partnership. May the bond between our peoples only grow in the centuries to come. NOW, THEREFORE, I, BARACK OBAMA, President of the United States of America, by virtue of the authority vested in me by the Constitution and the laws of the United States, do hereby proclaim March 2014 as Irish-American Heritage Month. I call upon all Americans to observe this month with appropriate ceremonies, activities, and programs. 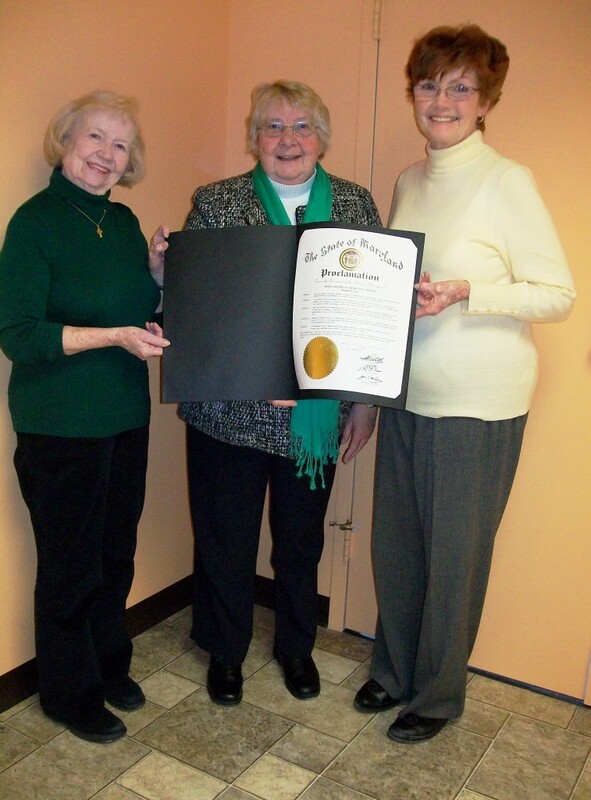 Irish Charities of Maryland, Inc.